SeaWorld Orlando recently unveiled details about Antarctica: Empire of the Penguin, a new attraction that will open May 24. The main attraction includes a striking entrance — made of materials meant to resemble rock and snow, and forming the shape of a mother penguin and her son — that leads into a realm that includes a family adventure ride and gives visitors the opportunity to walk among the penguins and explore their world. 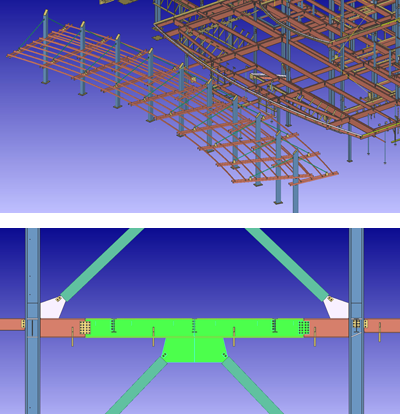 The entire structure was detailed in SDS/2 by The Steel Detailers, Inc., of Seminole, Florida, and fabricated by Design Data customer Met-Con, Inc., of Cocoa, Florida. The project's unique challenges included substantial vertical bracing, few 90-degree connections, and HSS framing for the windows inside the building that were modeled and detailed as shop-assembled frames to reduce field welding. The structure also required trusses that had to be modeled and detailed as field-erected trusses due to their size. To see construction photos of this project, click here; to watch a short video that gives a glimpse inside the attraction, click here. While sending an RFI with a picture can be helpful, SDS/2 features additional functionality that allows users to create RFIs that include an embedded portion of their 3D model. 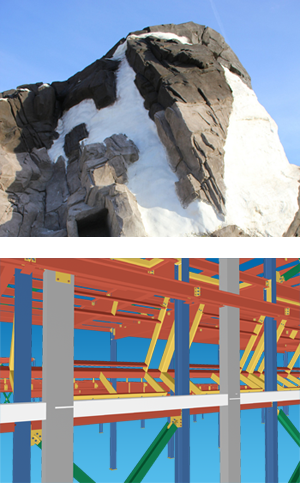 The 3D model can be rotated, panned and zoomed, and provides a 100% accurate representation of the issue in question; users can also search for material in the 3D model using a model tree. 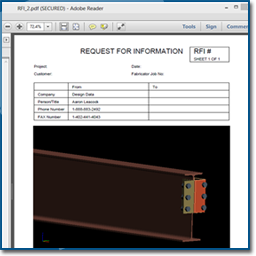 These RFIs can be viewed by anyone using Adobe Reader, Adobe Professional or Bluebeam® Revu®. 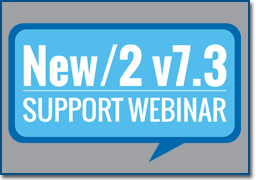 The Learning New Point Locate Features and Using the SDS/2 User Coordinate System webinar will be on March 12 at 10:30 a.m. CDT. In this webinar, you will learn all the new point locate features and how each functions, as well as the ins and outs of the User Coordinate System (UCS). To register for this webinar, click here. 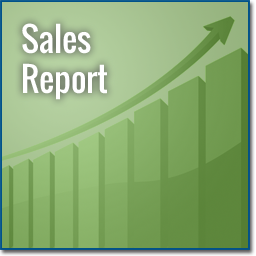 To see other scheduled webinars, click here.